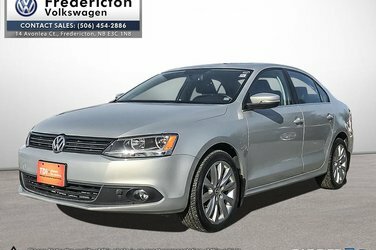 2012 Volkswagen Jetta TDI Highline 2.0 Odometer is 55008 kilometers below market average! 2.0L TDI Turbodiesel FWD 6-Speed DSG Automatic with TiptronicTitan Black - Vienna Lthr Leather, 4-Wheel Disc Brakes, 6 Speakers, ABS brakes, Air Conditioning, Alloy wheels, AM/FM radio: SIRIUS, Block heater, Bluetooth Mobile Phone Connectivity, Brake assist, Bumpers: body-colour, CD player, Driver door bin, Driver vanity mirror, Dual front impact airbags, Dual front side impact airbags, Electronic Stability Control, Fender Premium Audio System, Front anti-roll bar, Front Bucket Seats, Front fog lights, Front reading lights, Front wheel independent suspension, Heatable Front Bucket Seats, Heated door mirrors, Heated front seats, Illuminated entry, Leather Shift Knob, Leather steering wheel, Media Device Interface (MDI) w/iPod Connectivity, MP3 decoder, Occupant sensing airbag, Outside temperature display, Overhead airbag, Overhead console, Panic alarm, Passenger door bin, Passenger vanity mirror, Power door mirrors, Power moonroof, Power steering, Power windows, Radio data system, Radio: Premium 8 AM/FM Sound System w/6-Disc CD, Rear anti-roll bar, Rear reading lights, Rear window defroster, Remote keyless entry, Security system, Speed control, Speed-sensing steering, Split folding rear seat, Steering wheel mounted audio controls, Tachometer, Telescoping steering wheel, Tilt steering wheel, Traction control, Trip computer, Turn signal indicator mirrors, Variably intermittent wipers, Vienna Leather Seat Trim. Certified. All Volkswagen Assured vehicles are sold with a 112 Point Safety Inspection, Carproof History Report, 6 months of 24H Roadside Assistance, and available $500 Grad Rebate. Upgrade the VW Assurance to VW Assurance Premium and receive a 2 Year/40 000kms VW Manufacturer's Warranty with 2 Years of 24H Roadside and special finance rates available starting @ 0.9% OAC. 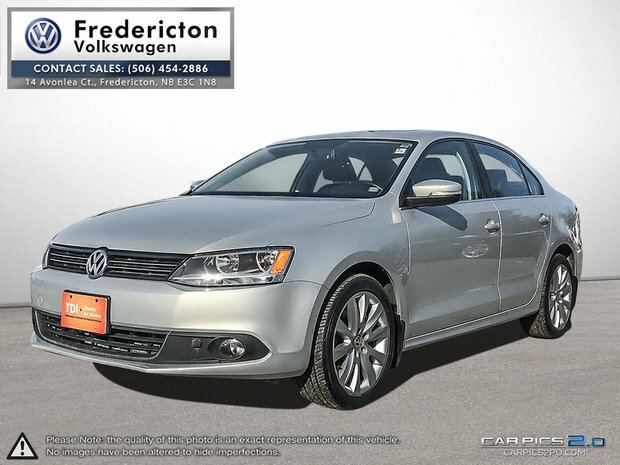 Fredericton Volkswagen has the largest selection of Certified Volkswagen's in New Brunswick. We have been serving the Maritimes for many years and continue to do so with our "Out of Town Buyers Program".